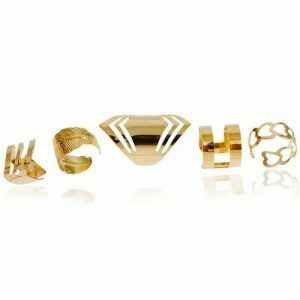 Make your own ring party with these beauties! 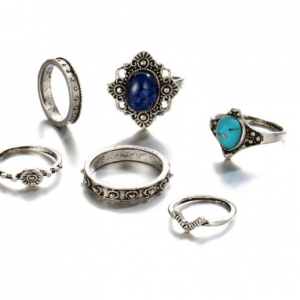 The ring sets consist of 3, 4, 5 and several stylish ring with beautiful designs. 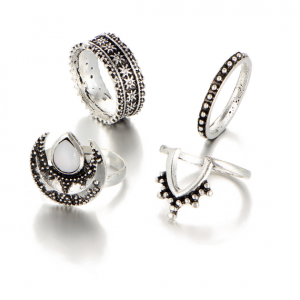 The ring sets from Aphrodite are available in the colors silver and gold. 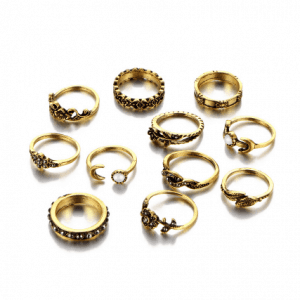 For the real ring enthusiast we have a large collection of ring sets. 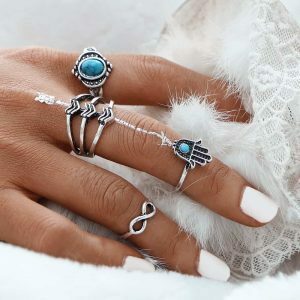 These ring sets have different lovely designs. 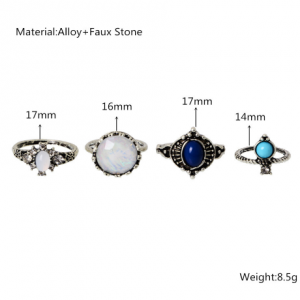 We have ring sets with marble stones, diamonds and pearls. 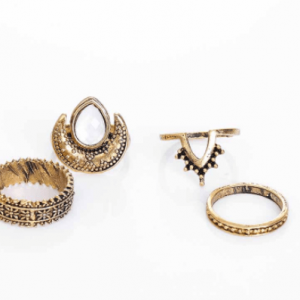 But also minimalist ring sets with different shapes. Choose from the colors silver, gold, rose gold and antique silver. 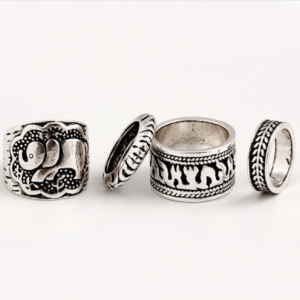 If you want to create a boho vibe or go to a festival, you can go for one of our boho ring sets. 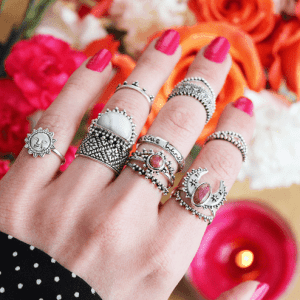 Wear all rings together on one hand or spread it over two hands. 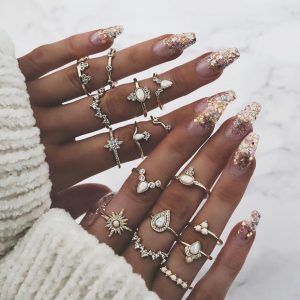 You can spot the midi rings with fashion bloggers and influencers. 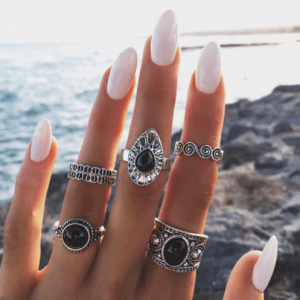 Knuckle rings are a favorite of many bloggers and are also called midi rings. 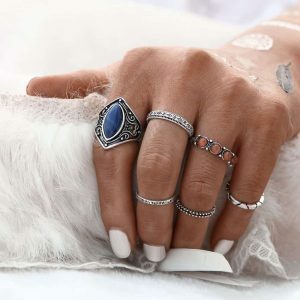 If you want just a little more detail, you should go for the knuckle ring. 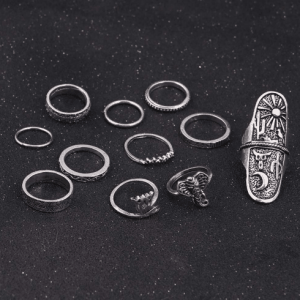 We have ring sets with midi rings but also ring sets of which the midi rings are a part. 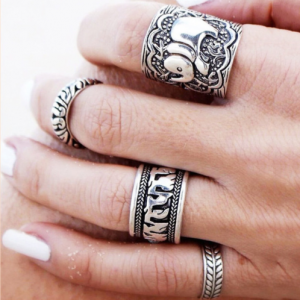 Choose your favorite ring and wear a midi ring on the top of your finger. You can choose from the colors silver, gold and rose gold. 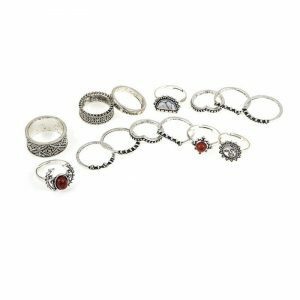 We have trendy ring sets with colorful designs. With these colorful items you can brighten up your most simple outfit. You can easily add color to your outfit. 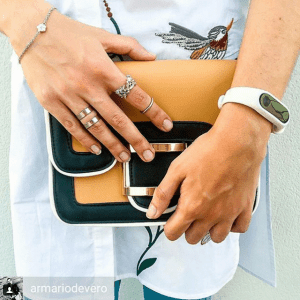 Your summer look is of course only complete with colorful jewelry and accessories. 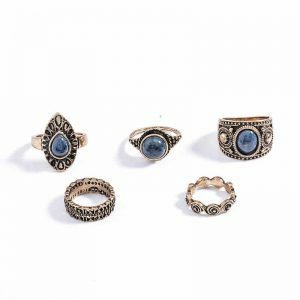 Combine your new ring set with other jewelry from Aphrodite. Our layered are very popular. They are available in the colors silver and gold. We have them in two, three, four or even several layers. With stylish pendants ,beautiful beads and coins. 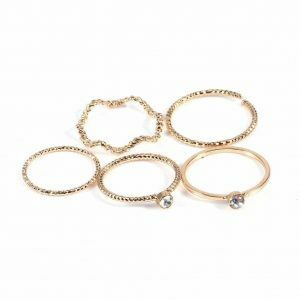 Your ring set will also look great with a minimalist necklace. We also have stylish bracelets! You can find bracelets in our category in different colors and sizes. They are also available in silver and gold. 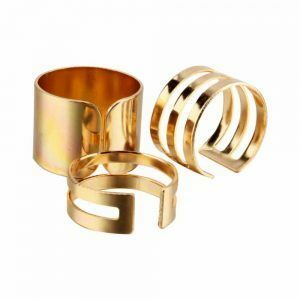 We have stylish cuff bracelets, minimalist bracelets, bead bracelets and beautiful bracelets sets. You can endlessly mix and match the Aphrodite bracelets to your own armparty! 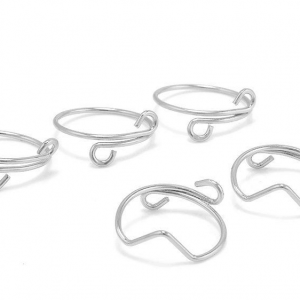 You can also combine your ring set with stylish earrings. 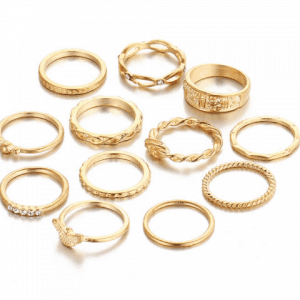 For example, combine your gold ring set with beautiful gold studs earrings or hoops earrings. Do you have 2, 3, 4 or more ear holes? 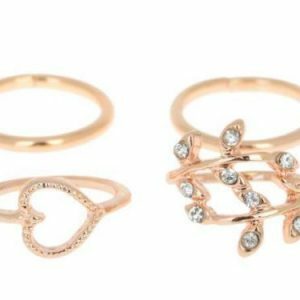 wear your ring set together with an earparty. 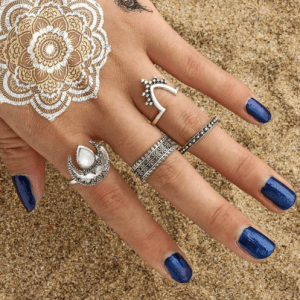 In the summer it is very trendy to wear fake tattoos. 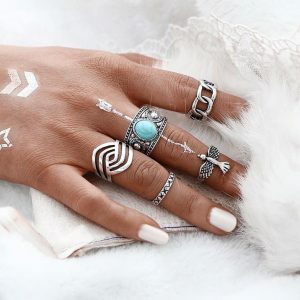 For example, combine your bohemian ring set with a boho tattoo. 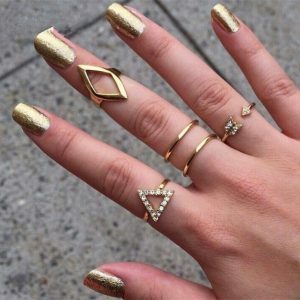 For example, with your gold ring set you can put a gold fake tattoo on your hand. 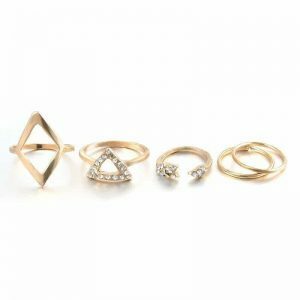 You can choose shapes that have the same design as your ring set. 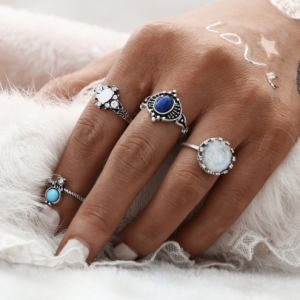 For example, with a ring with a heart design, you can wear a heart tattoo. In the other months you can apply your favorite nail polish. 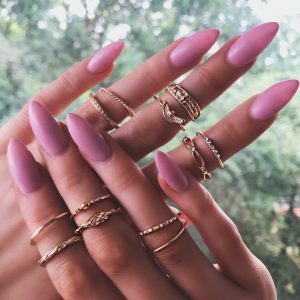 Combine your favourite nail polish color with your ringset. 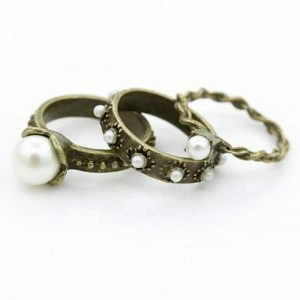 For example, with a ring with black stones you can wear a black nail polish. Or choose the same color as your dress or t-shirt. You can also do a pop or color by choosing a very different color. 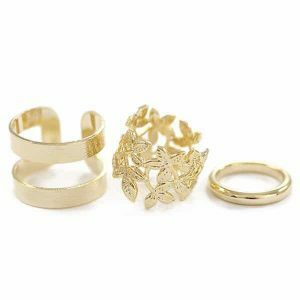 Do you have a question about our ring sets or other jewelry? please send us a message. 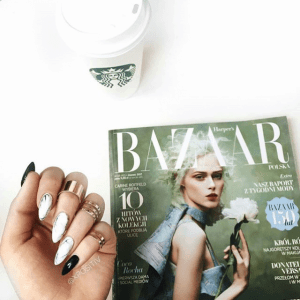 Do you always want to stay up to date with the trends in the world of jewelry? sign up for our newsletter. And follow us on facebook, twitter, instagram and pinterest!